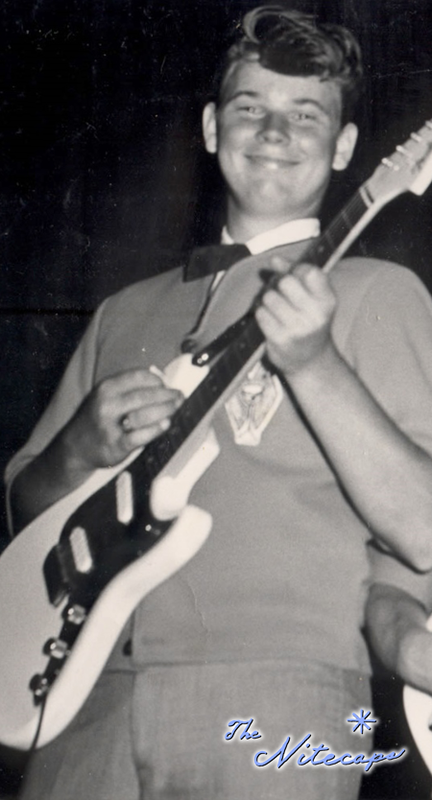 Larry Lunsford was a very early member of the group. He joined the group when Steve Cron and Tony Coronado were still in the band, but ultimately, Larry would replace Steve and Butch Martin replaced Tony. Larry was also there in the early surf day pre-fair show gigs. In the beginning, Larry was our rhythm guitar player and I was the lead guitar player, though Larry was destined to become our lead guitar player as I moved into the role of lead singer. Larry was an extremely organized very neat and disciplined person. He was always pretty serious about practicing, being on time, knowing all of the dance steps, making all of the rehearsals and being extremely dedicated. Personality-wise, Larry was the biggest and the strongest of all of us. If there was ever a confrontation or a problem, Larry had your back, and there were times when we were very glad he was there. We had many amazing adventures with Larry, and after the band was over, Larry and I continued our friendship throughout his life. Everybody in the Nitecaps had to be a good dancer, as besides our focus on music, we were very into the choreographed dance steps that were performed by both the horn section and the rhythm section. Larry spent a lot of time working out all those steps while simultaneously accurately playing all the guitar parts. One of the reasons we won so many of the band battles is that so many of the other bands were unwilling or maybe just not able to both play and create choreography. I know that wasn’t for every band, but it sure was for us, and it definitely worked out for us when it came to winning battles. Both onstage and offstage, Larry was a very good dancer. When we went to the dances that we weren’t playing at, you always saw Larry out on the dance floor dancing away with some cute girl at his side. Later in life, Larry had a great love for country music and he and his wife did a lot of country dancing. Like I said – Larry always loved to dance. 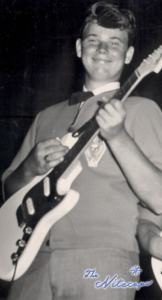 Another important factor as the band grew, Larry’s father, Gene Lunsford, became our manager. Beyond Larry’s function as a band member, his whole family were very much a part of our band. Larry had a younger brother, Rick, who also traveled with the band and helped us set up and pack up equipment; Rick was always there for us for whatever we needed. The Lunsford family – his mom, dad and brother – were all very positive, wonderful people, and part the story of the Nitecaps.